Photographs from Anchorage to Fairbanks and back via the Glenn Highway (1), the Parks Highway (3), the Richardson Highway (2) and the Denali Highway (8). Also photographs from a side trip over 300 miles to Valdez. 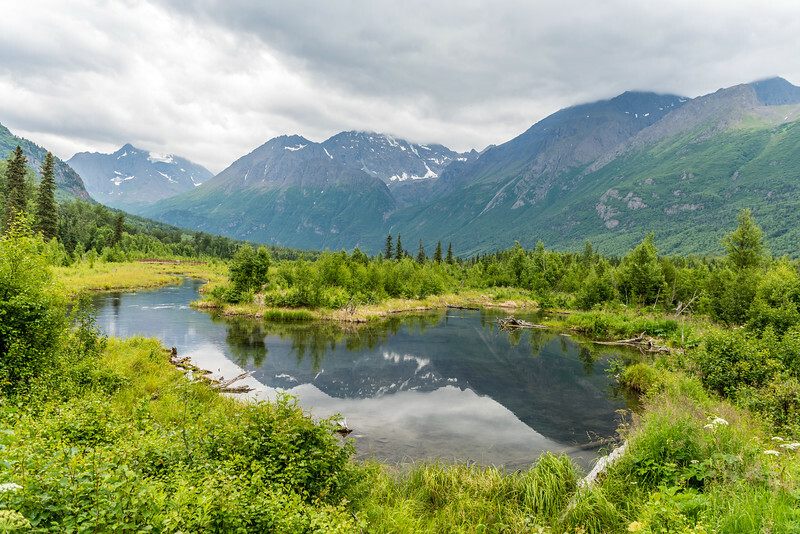 The snow capped mountains along the Eagle River are reflected in its placid waters.